Well it was a rip-off filled trip to Urban Outfitters this weekend. But instead of being ripped off by an over-priced frame, I am going to be the one ripping things off! Ripping off some pillow designs! 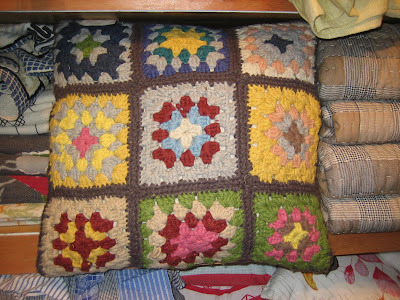 I have been wanting some pillows for our couch for a while, but I am kind of anti-traditional crochet projects. These UO pillows were looking pretty cool, but, of course, they were totally falling apart. If my pillow is going to fall apart, I want it to be because of my own shoddy workmanship. 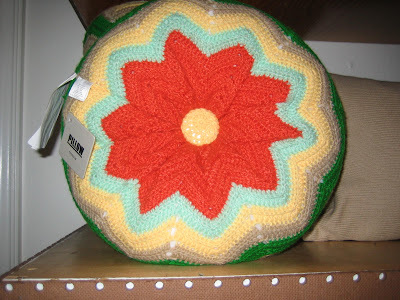 I love love this, but I cannot find a chevron stitch in rounds! Any help?? Ohhhh to have time to crochet! Work has been insane lately. Off to have some beers & watch a movie! Seriously? These are cool, again? I think my mom still has the ones my sisters made in the 70's.